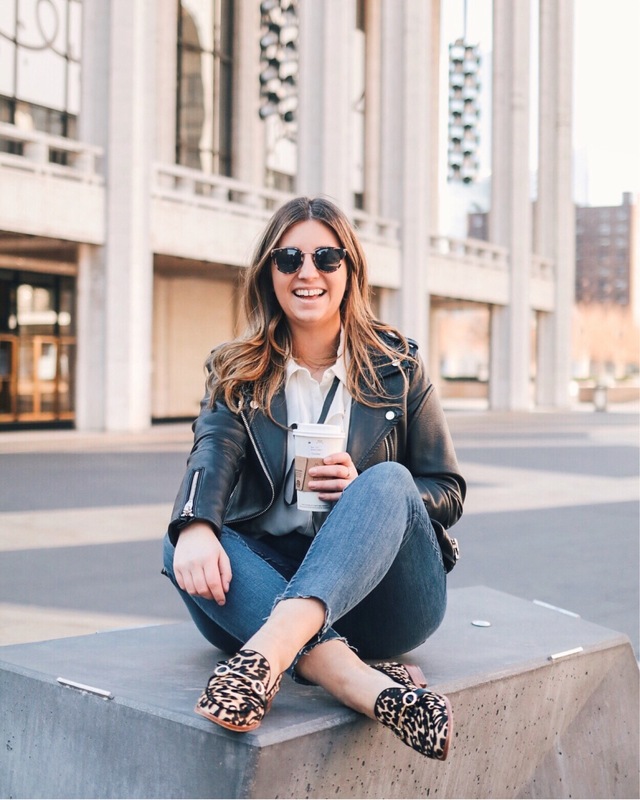 In the last year or two I’ve really gotten into Fashion Week in both the Spring the Fall. Of Course as an American New York Fashion Week is my favorite of all the Fashion Weeks. The best part about Fashion Week now though is the ability to watch the shows without an invitation. You can watch almost every show live or after the fact here. Above are some of the shows I’m most excited to see this week. The pictures along with them are some of my favorite looks from the Spring/Sumer 2013 lines. My mind has been focused on spring but seeing the new collections might actually make me happy it is still chilly outside. 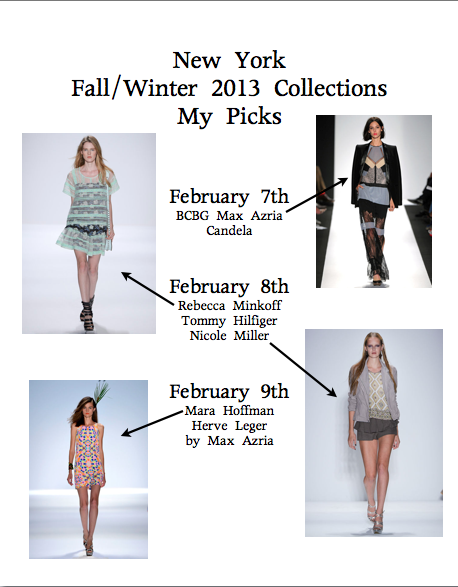 I can’t wait to see BCBG Max Azria, Rebecca Minkoff, DVF, and Nanette Lepore. 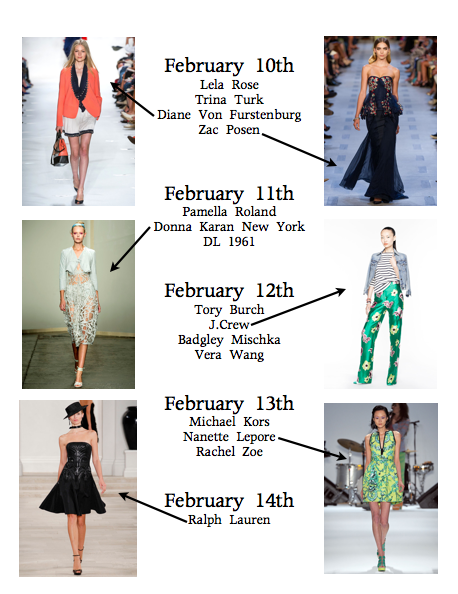 The start of NYFW is probably the only thing getting me through this week. Happy Wednesday! Only one more day until it all starts and two more days until the weekend!